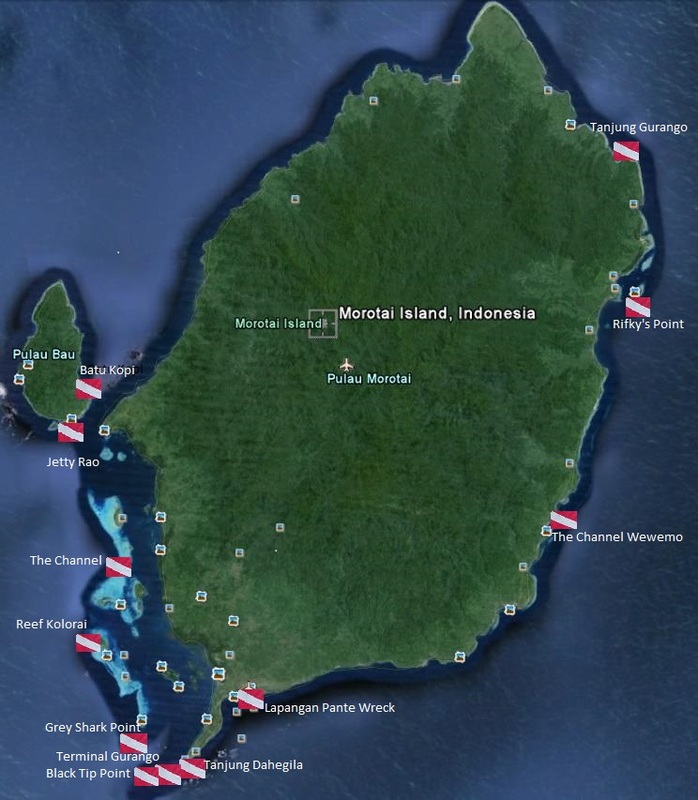 Morotai and it is situated in the western part, accompanied with tiny island of Seminyamao.Our famous shark diving location is Terminal Gurango which is situated in the middle of the atoll near the Tanjung Dahegila – southern tip of Morotai Island. Here, many blacktip reef sharks, grey sharks and school tuna as well as chevron barracuda are easily be encountered. If the water condition supports diving activity here, you may encounter more than 12 black tip reef sharks in this plain sandy coral ground at 16 m maximum depth. Black tip point near Mitita Island is another attraction, we named this as there are lot of blacktip reef shark can be seen in a single location. The location situated in the slope from 16 – 23 m depth. 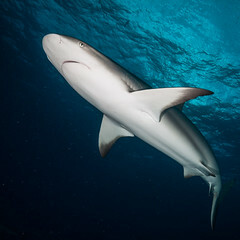 Grey shark point near the Kokoya Island offer high probability to encounter grey reef shark which is normally accompanied by pack of white reef sharks and many surgeon fishes shares same area. If you want to skip the shark festive, you can try Lapangan Pante wreck location where two airplanes are ditched in 30-50 m under the sea level. Only those who certified for advance diver would be allowed to see the wreck from 40 m.